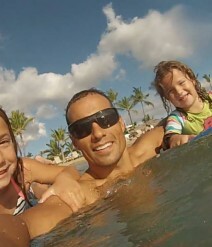 I train 7 days a week and 5 of these days (Monday through Friday) training is completed before my two daughters (ages 6 and 8) wake up for the day at about 6:45 AM. The structure of my training isn’t volume based like so many programs out there. Sure, volume has a definite role in my Ironman training, but the focus is to build sport specific strength and a little speed. Volume is added later on in the training and not nearly as long as most would think. This is not the norm in Ironman training and people look at me like I am a little crazy when I share my approach. This method of training is extremely effective because it allows you to focus on what slows you down most. We need endurance, but this is not what typically keeps an athlete from making it to the finish line faster, especially for an athlete with a history in the sport. Ironman is a strength-endurance sport. The more sport specific strength you build, the faster you will make it to the finish line. Sustainable durability is the goal. Structure your training to focus on your limiters and you’ll really reap the rewards of the longer endurance training when you add it later on in your training cycle. 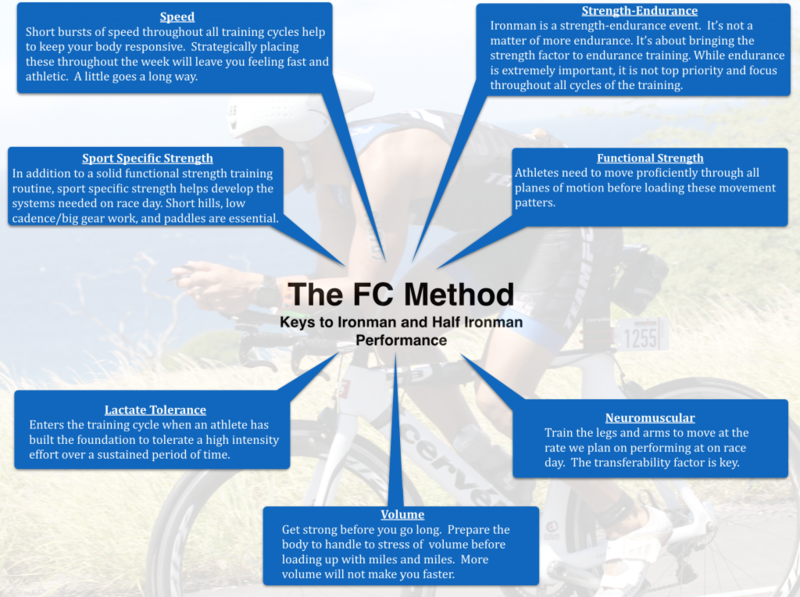 The cool thing is that this method of training has not only helped me (never judge the universal effectiveness of an approach based on a single individual’s success), but it now helps so many of the Ironman athletes I coach. In fact, this method of coaching resulted in 90 personal bests for the 2015 and 2016 season alone. If you are willing to switch up the way you look at Ironman training, you can open up a whole new realm of possibilities. Oh, and you’ll get to hang out with your friends, play with your kids, drink beer (okay, not all the time), surf, ski, and enjoy life. Don’t get me wrong. You’ll have to work really hard, but the training will be so much more focused and purposeful. Here’s a look a the foundation of the FC Method. Need help improving your bike time? Here’s what we focus on.